As part of our Central European coverage in the summer of 2018, Opera Lively interviewed in person Andreas Homoki in early July 2018 in Zurich. His fascinating answers are an interesting read. This interview is one of several done in that time period, together with reviews of sixteen live shows (three of them, at the Zurich Opera House). Our readers can consult the coverage portal by clicking [here], to find links to all those articles. We apologize for the delay in publishing this interview, which happened due to some unpredictable difficulties that are not the artist's fault, nor the opera house's. The internationally acclaimed operatic staged director Andreas Homoki has been the Intendant (General Director) of the prestigious Zurich Opera House since 2012. He was previously General Director of the Komische Oper Berlin between the years of 2004 and 2012. Since beginning his tenure in Zurich, Homoki has staged acclaimed productions of Der fliegende Holländer (a co-production with Teatro alla Scala and Norwegian National Opera), Lady Macbeth of Mtensk, Fidelio, Martinů's Juliette, Lohengrin (a co-production with the Wiener Staatsoper), Wozzeck and I puritani, among others. Born in Germany into a Hungarian family of musicians, Homoki observed Harry Kupfer’s productions at the Komische Oper Berlin whilst a student at university. He later assisted Kupfer, including on productions at the Salzburg Festival, before becoming an assistant director at the Cologne Opera between 1987 and 1992 where he worked regularly with Willy Decker. Homoki made his directorial debut in 1992 with a production of Die Frau ohne Schatten in Geneva, which was awarded the French Critics’ Prize when transferred to the Théâtre du Châtelet, Paris, in 1994. He made his debut at Komische Oper Berlin in 1996 with Falstaff. During the subsequent years as a freelance opera director, Homoki’s productions included Reimann’s Das Schloss and Aida in Hanover, Der Wildschütz, Der Freischütz and Die Zauberflöte in Cologne, Rigoletto in Hamburg, Orfeo ed Euridice in Geneva and Lyon, La traviata and Macbeth in Leipzig, Elektra, Der Rosenkavalier and Verdi’s Requiem in Basel, Hänsel und Gretel at the Deutsche Oper Berlin, Carmen, Capriccio and Lulu in Amsterdam, and Idomeneo, Arabella and Manon Lescaut at the Bavarian State Opera in Munich. In 2002 Homoki succeeded Harry Kupfer as Principal Director of the Komische Oper Berlin, followed shortly by his appointment as General Director in 2004. During his tenure in Berlin, Homoki’s productions included The Bartered Bride, Eugene Onegin, Der Rosenkavalier, The Rise and Fall of the City of Mahagonny, La bohème, Die Meistersinger von Nürnberg and The Cunning Little Vixen. He also staged two world premières during his tenure: the children’s opera Robin Hood by Frank Schwemmer, and Christian Jost’s Hamlet. In 2007 the Komische Oper was voted ‘Opera House of the Year’ by Opernwelt. During his time in Berlin, Homoki gained international prominence with his new productions of Tannhäuser at the Théâtre du Châtelet in Paris, Roméo et Juliette and Die Königskinder for the Bavarian State Opera, Le nozze di Figaro and La fanciulla del West at the New National Theatre Tokyo, Turandot and La traviata in Dresden, Faust at the Hamburg State Opera and David et Jonathas at the Festival International d'Art Lyrique d'Aix-en-Provence. Homoki has been a Member of the Berlin Academy of Arts since 1999. This is Opera Lively's interview # 257. Copyright Opera Lively Press, all rights reserved. Questions by Luiz Gazzola. Reproduction of small excerpts is authorized as long as the source is quoted and there is a link to this full article. Reproduction of the entire interview is only possible if permission is asked first: use the Contact Us link on the bottom of our pages. Luiz Gazzola for Opera Lively – Thank you for doing this, and for your time. You are a very busy man, so I’m honored that you got this time for us. Andreas Homoki – I’m trying to concentrate on the priorities. OL – [laughs] Glad to know that we are part of them. OL – First let’s talk about the history of the Zurich Opera House, where Lulu, Moses und Aron, and Mathis der Mahler had their world premieres. I’d assume that the house has been very important for modern and contemporary music and has a focus on it. Please tell me more about the Opernhaus Zürich. AH – Actually I would be glad if this history that you are mentioning with Lulu, Mathis der Mahler, and Moses und Aron, had founded something that we could also say that kept happening ten or twenty years ago, but the fact is that it has not. The tradition for contemporary music is not that particular for this opera house, to be honest. Maybe in the thirties we profited from being the only German-speaking country where things could be performed, that normally in Nazi Germany would be forbidden. Which is also something beautiful because Switzerland can be proud of having hosted so many exiled people and having actually preserved the German culture. Apart from that, we have to say that the Opera House does not have a particularly grand tradition in opera. First of all, it was designed as a Stadttheater, a theater for spoken theater as well as for music. It was in the seventies that it started to gain more international profile for opera singing, especially with Claus Helmut Drese who came here and started his work with Jean-Pierre Ponnelle and Monteverdi. OL – Yes, it was a Monteverdi cycle at the time. AH – Yes, of course. That is a one of the beacons, in the history of this opera house. And then we do what other opera houses do as well; we try to make the best and most interesting opera, with the most interesting and best artists. OL – But I do think that there is a sort of style here. It’s my first visit in person, but I’ve seen many of your productions on DVD and online. Most of them have a strong focus on Regietheater, and I would say, a very intelligent one, and not as extreme as we see in some other parts, but with rather interesting concepts. Most recently I saw a Rigoletto staging that was done with just one table. I love minimalist staging, and that one table did the job for the whole thing. AH – Yes, this was a very, very good production. It was released in my first season by Tatjana Gürbaca who after that season became Director of the Year by the Opernwelt magazine, not only for that but also for another show. I also found that production to be very inspiring. It is precisely what I expect of directors, to have an intelligent approach to an existing piece, also with a strong tradition, but not be bothered with the false aspects of tradition. I like directors who go to the core of the piece, and show what the piece is really about. That is actually also my approach as a director; that is what I’m trying to do. I am glad that you are labeling this an intelligent way of doing theater, because this is what is crucial. OL –I’m a lover of all sorts of opera, from Baroque to the very contemporary, and I like both traditional and modern productions, as long as they are good, because there is bad traditional and bad modern, and good traditional and good modern. AH – Yes. If a production is just traditional to be traditional, it is never good. A production must have some input from the director, who must spend work, labor, on making this piece of art alive. It is only paper. It is a thought of a composer, an author, put onto paper. We have to decode the paper and put it back on stage. The directors have to be able to look into it in detail, in order to make a convincing production. It does not mean that a contemporary production does not involve historical costumes or some historical references. Every period has its own ways of theater. Cinema has made such successful journeys in its inventions, with the immense, incredible phantasmagorical pictures we now have, but theater cannot copy that. Theater has to go other ways in which it has an advantage. OL – Maybe the fact that the general director of the opera house here is a stage director makes a difference. Some other opera houses have general directors who are administrators, people with masters in business administration, while you are a famous, illustrious stage director. Do you think that this propitiates a different style to an opera house? Pierre Audi is another example. AH – I do think so, yes. Of course there are certain criteria which I follow in my own work – what I try to avoid, what I don’t like, what I think is intelligent. I want to be surprised or moved but the work of a director, and these are of course things that I search in others. I don’t hire directors who are not able to surprise me. OL – So, do you screen those ideas before you plan for the season? Do you meet with the directors first and tell them what you expect? AH – No, the important work I do, is the choice. I say to a director “I like your work, I want you to do something here” - and it is not sufficient to just say “I like your work”, you have to offer them something. I say “I’ve watched your work for a while, I like you, I would like you to do this or that piece.” Making this connection between the director and a piece already involves some imagination and the preconception I think that maybe he or she will do with this piece. OL – So, during rehearsals and workshops, you don’t get involved – once you deliver the piece to a director, you let him or her do the work? AH – The next step is of course that the director accepts it or doesn’t, and then we talk a bit about it, and involve the casting department, and consider the version of the piece. I do get involved a little bit in it. Then, the director and the designer present the concept. That’s an important moment. If I have a feeling that it doesn’t convince me, then I tell them. We have first class international directors, who work for us and additionally I try to do a lot of research on young directors. There are constantly new people that I like to introduce and help them on their way. OL –You also know the music, because you are from a Hungarian music family, and you went to music school. Some of the directors are in film or spoken theater, and maybe they don’t understand exactly what the musical side necessitates for a successful staging, right? AH – In the beginning, when I developed the idea of becoming a stage director, I saw this also as an advantage for myself, because I came from music. I wanted to see opera productions that clearly responded to the music and had a connection with it. This is my interest. It’s only about the music. It’s never just the text. Of course the text is important, but it’s always about the dynamics of music, which makes the space, and makes people move. It’s a delicate process because you don’t want to just copy the music. You have to give the impression that what you see cues the music. There are great masters I worked with, who did precisely this, and I was lucky to work with them to develop my own skills and style. What I want to say is that it is not so important to have studied music. It is important to have good instinct for music. OL – If you don’t want to, it’s fine, but would you mind giving me a short list of directors you really trust and admire? OL – Oh, I love him. OL – I love his Traviata. OL – Yes, that is good! I’ll see tonight the production by Calixto Bieito. AH – Yes, Calixto, of course! OL – He is a very interesting guy; controversial, so I’m excited about what to expect tonight. Do you have something to tell me about this Poppea tonight? AH – I have the feeling that Calixto is always best when he has a subject which allows him to very freely work with the personalities of his actors. He is not somebody who comes to a rehearsal and says “This is the narrative I want to tell.” He has some ideas, but then he is very open to the actors, and allows them to make an incredible performance with text and music. Every character you see has a perfectly conscious attitude to what he is supposed to be as a character, and what he is supposed to mean with what he says. And this is the interaction; this is the fascinating thing. This performance of tonight works really nice. I’m pretty sure you will enjoy it. OL – You had a famous Die Frau ohne Schatten. This is my favorite Richard Strauss opera. Everybody quotes Der Rosenkavalier, but I actually prefer Die Frau ohne Schatten. So, I’d like you to tell me a little bit about memories of that production and what you wanted from it. OL –What are other productions you consider to be among your most successful work, in addition to that Die Frau ohne Schatten? AH – I should say, I’m really happy with eighty percent of my shows. Sometimes I wasn’t, because the theater didn’t really achieve what I wanted, or we made a mistake with some design aspect, not thinking the piece thoroughly through. But those performances I’m not entirely happy with, I’m still happy with seventy percent of them. That Die Frau ohne Schatten was a very important show. Also, in Berlin maybe The Love for Three Oranges has been very successful. My Traviata in Leipzig, and The Magic Flute in Köln, before; Der Rosenkavalier in Berlin was important, and also Eugene Onegin in Berlin was not very successful but was modern and intelligent; I think so. I liked The Cunning Little Vixen, and Wozzeck here was a big success, an important show. OL – I don’t know if I specifically recognize your Eugene Onegin in Berlin; can you tell me more about it so that I remember if I saw it or not? AH – It was a space like a waiting lounge, with lots of seats, and people would come and wait and leave, then come back. It was really very different from what you think of Onegin. Parts of the audience didn’t get it. OL – I don’t think I saw that one. AH – The idea was that the two ladies sing in the beginning about the time that goes on, and later you understand that you can only be happy within a certain frame, and the question is, what do you make of it, of all your dreams? In the end you see that your life is like the life of everyone else, and maybe you have fulfilled some of your dreams; maybe not. This was metaphorical, with this waiting lounge really cold, like in an airport. People were sitting there, certain things happened, society changed. OL –I would have loved to see it. 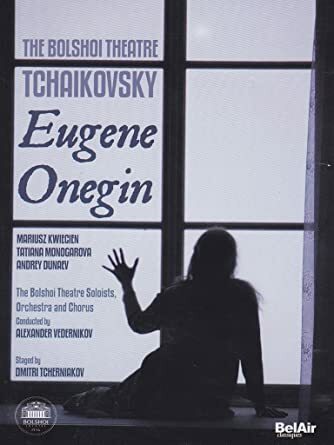 I just published a book on Eugene Onegin, in April, and in the book I say that my preferred one was the Tcherniakov one. AH – Yes, that one was beautiful. I love that. Very, very good. It’s a very good production. I totally agree. The best Eugene Onegin! OL – Yes, the best! Before going back to the Zurich Opera House, let’s talk a bit more about your career. This choice of profession you made, can you tell me more about it, and whether or not you have regrets, or would have changed anything? AH – I grew up in Bremen, a nice city. My father played solo clarinet in the orchestra, so I was always involved with music, but I was never forced to play it. My father didn’t force me; he said “If you don’t like the clarinet, that’s OK but maybe you should play the piano.” So I did that for a few years. Then I was hooked on music but I didn’t know what to do because I wasn’t good enough with the piano. I wasn’t good enough with any specific thing. I was an average pupil. But I was also fascinated by visual things. I remember when I was nine years old and saw The Jungle Book by Walt Disney. That made a huge impression on me. I had seen Disney movies before but for the first time I consciously realized that this thing was entirely designed and conceived; there wasn’t anything random; everything was crafted by people, by hand. This was a very fascinating revelation for me. I wanted to be like Disney, making movies. I still love films, until today. But then of course there wasn’t any opportunity for that, and I went into music and was good enough to be successful in an examination in Berlin, and in my music school I was in touch with singers and actors, and went back to theater. This was when I connected both sides. The moment I did that, I knew what I wanted to do. That was when I was twenty-three. Then I went for it; got internships. It got going really fast. From my first internship until my first professional job as an assistant director with Harry Kupfer it was a period of just three years. One year later I was in Cologne as assistant director, and five years later I had the Die Frau ohne Schatten in Geneva, so it went really fast. OL – So, you are pretty content with how things went? AH – Yes. I have to say, as you have noticed, I was lucky. My contract here as general director has been extended for another three years. So then I’ll be 65, and I will certainly try to continue to work as a director, but I will not be a manager any longer. OL –Do you feel like the management task interferes with your artistic career, or is it a plus? AH – It’s both, but not really. I am in a very privileged situation because I’m in a theater that has enough resources for me, to allow me to have a fantastic team that does a lot of the daily administrative work. Of course I’m involved in everything; I have to be here, I have to be accessible for my people. But it’s not like if we have an emergency I have to pick up the phone and call an agent. So I can concentrate on the long-term development of the company. Of course when my chief conductor tells me that he will not extend his contract then I go into a different mode. These are the moments when I work to excess, to find a new conductor, a new director, when I go more in the creative part of my job. It’s fun; I like that. Every day you are in charge. That is not something that affects my artistic work, but after twenty-three years of administration, it is nice to go back to becoming a free-lancer. OL – I see. You directed in Köln, then you were the Intendant in the Komische in Berlin, and then the Opernhaus Zürich. How do you compare the three houses? AH – Actually in Köln I started as an assistant. AH – It was quite similar to what we do here, in terms of the system. Many things that I introduced here, I learned there. It had a smaller output. We did only four to five new productions per season; here we do nine. The focus was different. The audiences were happy with revived productions. Actually in those days in the eighties, Zürich and Köln were very comparable. Jean-Pierre Ponnelle worked here and there; we were two similar houses. But then this theater here made some development towards more money and more high-profile performances, and Cologne had this big handicap with the house being closed, and they have to play somewhere else. But I owe a lot to Cologne. In Berlin, the Komische Oper was and has always been in a way my dream house, since I was a student, because it was the first time I met Harry Kupfer, whom I assisted later. It was located in the East part of Berlin, the border was still dividing East and West Germany, but you could see very special, beautiful performances over there. I was very honored and happy when I was appointed to be the successor of Kupfer later on. Then I noticed what a great task it was, because there was a huge amount of restructuring necessary to adapt the philosophy of the old theater to the new circumstances after the wall had come down, to become a normal Western theater company, and to stop being this highly protected, highly subsidized, very special company in the East. In the West, after reunification, this was all gone. Suddenly the Komische was just the smallest of three opera houses which only performed in German and had an over-aged ensemble. The restructuring took a lot of energy. At the end I was very proud that I could hand it over to my successor, truly renewed and renovated, restructured as a modern company, which still maintains this spirit. Because the danger in this situation is that a manager says, “The Komische only performs in German, and is the smallest theater, so we’ll only do operetta, for which we need less money” and boom, you destroy the whole tradition. That was what I desperately tried to avoid when I managed the house. OL – Now I see your imprint there, because it is one of my favorite companies. In this trip, I allocated 25% of the time to the Komische. I will see four productions there among the sixteen I’m scheduled to see in this trip. I have visited them before. It’s also minimalist staging but very intelligent and dynamic. I really love it, and now I see the connection. What you left there was continued. AH –I’m very proud to have brought Barrie as a director to the Komische Oper. When I first saw a production by him, it was really accidental. A friend of mine was the conductor, Johannes Fritzsch; he had conducted in Australia. We met and he said “I did this very interesting Wozzeck with this young Australian director, crazy guy, you should look into it.” I said “OK, can you get me a video?” He sent me this video, and I watched it and I thought it was fantastic, so I hired him to work in my first season. He had a fantastic success with Le Grand Macabre. At the time nobody knew him in Europe. Then I worked with him regularly, and his career went on. OL –The Staatsoper Unter den Linden was the most prestigious one, right? Wasn’t it better considered than the Deutsche? AH – No, they were both in this fight. After the wall came down, there was this political idea of regaining the historical center of Berlin. The focus of the federal government was on the Staatsoper. The Deutsche Oper though also made high-profile top opera. That was not a war that somebody could win. The Komische Oper was extra, “We have a special tradition of always performing in German and having edgy productions. This was my message, that we had Felsenstein, and Kupfer, and Barrie did change it. He said, “It’s not just Felsenstein but also the time before, the Metropol-Theater, the operettas, the Jewish composers that had been exiled,” which is fantastic, it’s so clever! It also fits, because it includes the operettas, which are important, but he is strong enough to do both. OL – Interesting. Challenging, but fascinating. Now, about conductors. When you came, Daniele Gatti was supposed to be the GMD, but you brought Fabio Luisi in, right? And now after Luisi leaves, it will be Gianandrea Noseda – what would be the expected style changes for the Music Department under these conductors? AH – When I came, Daniele Gatti wasn’t yet appointed. Franz Welser-Möst was still here but everybody knew he would go and nobody knew who would come. It was clear that Alexander Pereira wanted Gatti, but Gatti did not commit. 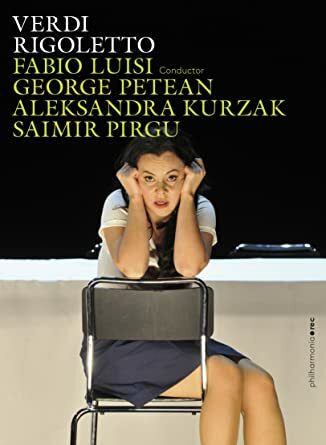 At a certain point I had to say, “I will not wait; I want the best possible conductor; so I went looking for others, and I was lucky because I understood that Fabio Luisi was about to leave Dresden; it was not clear if he would extend his contract or not. I knew him very well. From the international conductors he was the one that I knew best; I always loved his work. He is a conductor who loves contrast and has an approach to every style. I asked him if he would do it, and he said yes. That was it. I was very happy. But I understand that after ten years he wants to go. He said something nice in the press conference: “You know, when you are here ten years, you end up saying the same things, maybe a little slower, a little faster, louder, or softer, but it’s the same thing every time, so it is now the time for somebody else to come… and say the same things.” [laughs] So, he was joking a little bit, but there is truth in it. He felt that he would like to go away, and it is fine. After ten years in the framework that we’ve established, I’m happy that he decided to go one year earlier, to give Gianandrea the possibility of staying for at least four years. Gianandrea is different, but also very theatrical, and a passionate person. For me it is important that things are done passionately and with energy, love, and respect for the positive, with friendship for the art and the colleagues. Fabio and Gianandrea really belong to the very best and are still down-to-earth. OL – Yes, I agree that it is how they are. I feel that Fabio Luisi is very elegant, and Noseda very passionate. OL – Back to the opera house, in terms of funding and budget, structure, size, can you tell me a little more about the ins and outs of the business? AH – Yes. I’m very happy that I have a financial director, Christian Berner, who structures these things for me and deals with most of it. I don’t have to sit and make budgets. He does it, and he knows what we are doing, so if I have a project and say “We should do this” he sits down and says “We can do it under these and these circumstances.” We have 80 million Swiss Francs in subsidies from the Canton of Zürich, which is the biggest chunk of our budget, and we have 9 additional millions from sponsors, this year, and something like 25 million in ticket sales, and other income that we get from rentals and merchandise. OL – So, about 130 million, plus. Does this amount cover everything that you hope for? AH – Yes, we don’t get into any deficit, because we monetize everything precisely. It’s something I could have used in Berlin, where every three months we went above budget. Over here we report to the Board four times a year, so this is all under control, and we end up with zero deficit and zero surplus. It’s all smooth. Every department has a budget, and they know they cannot spend more. If they go to Christian and ask for more, he usually says no, and they have to make decisions to stay within the budget. It is run like a private company. This is very Swiss, but it is the best way, because it gives you security, but also freedom as the Board does not interfere with artistic issues. The Board wants everything to go nicely, with everybody loving the opera, and no deficit. OL – I see. What is the relationship with other companies, in terms of co-productions and Europe-wide works? AH – We have friendly relationships with everyone. We are colleagues, especially the Casting Departments because they constantly exchange singers. Sometimes we have to help others out, or they help us out with releasing singers for us if we have an emergency. It’s a very close network. The casting people also meet for auditions when they want to discover young singers from the Met, from London, from Paris, Salzburg, and Vienna. OL – Last questions. Do you try to have at least one contemporary opera per year? Are there local composers here whom you admire? AH – Yes, we are obliged to produce one contemporary piece every year. We have commissioned for example Christian Jost, a composer from Germany [his piece was called Rote Laterne and premiered in March 2015]; we produced this year Lunea by Heinz Holliger, a very important new production, very successful. I directed it and was very happy to do that. It is a beautiful piece. We did Die Hamletmaschine [by Wolgang Rhim], Orest by Manfred Trojahn, so we’re producing one contemporary piece every year. When we did Hamletmaschine, this piece hadn’t been done for twenty years in a major house. It is an important piece and we tried to ignite its reception. Of course with Le Grand Macabre this season you don’t have to do that, because everybody plays it, but we have to do it for this house, as it is one of the most important pieces of the late 20th century. So this is our philosophy. We show important contemporary pieces and we also try to commission new operas. OL – Thank you so much. I’m sorry that we went five minutes beyond the allocated 45. AH – No problem! Thank you! If you came to this page through a link from another site, please consider exploring our exclusive interviews (as of today, 257 singers, scholars, conductors, stage directors, composers, administrators, etc., including some of the most prestigious names in opera), news, and articles by clicking on the Articles tab above or using our clickable content index [here], or the Section Widget on the top left of the Home page; and our discussion Forum (of course, by clicking on the Forum tab - and please notice that over there we also have an area with content in Spanish, German, French, Italian, and Portuguese). The site displays differently with bigger pictures and fewer ads when you log in as a member. You might consider the purchase of ours books "Opera Lively - The Interviews" volumes 1 and 2 - full announcement and links to sales points [here] for volume 1 and [here] for volume 2. Also don't miss the very funny book by famous Metropolitan Opera tenor Jay Hunter Morris, "Diary of a Redneck Opera Zinger" published by Opera Lively Press; click [here]. Also on sale, our guidebook to Berlioz's Les Troyens: click [here] with a new and full translation of the libretto, and the guidebook to George Benjamin's gorgeous contemporary opera Written on Skin, libretto included: click [here]. Our latest book is the guide to Tchaikovsky's Eugene Onegin: for full announcement and link to its Amazon page, click [here]. Bookmark our site and come back for more - several new and exciting interviews are always coming to Opera Lively. Some of the best recent ones can be consulted on our Home page. By clicking on the widget on the upper left corner of the Home page and on the + sign next to Exclusive Interviews, you will have access to all the others, with many opera luminaries such as Anna Netrebko, Piotr Beczala, Juan Diego Flórez, Diana Damrau, Joyce DiDonato, Danielle de Niese, Roberto Alagna, Elina Garanca, Riccardo Muti, etc.